Things in the kitchen aren’t always pretty. Mistakes happen. 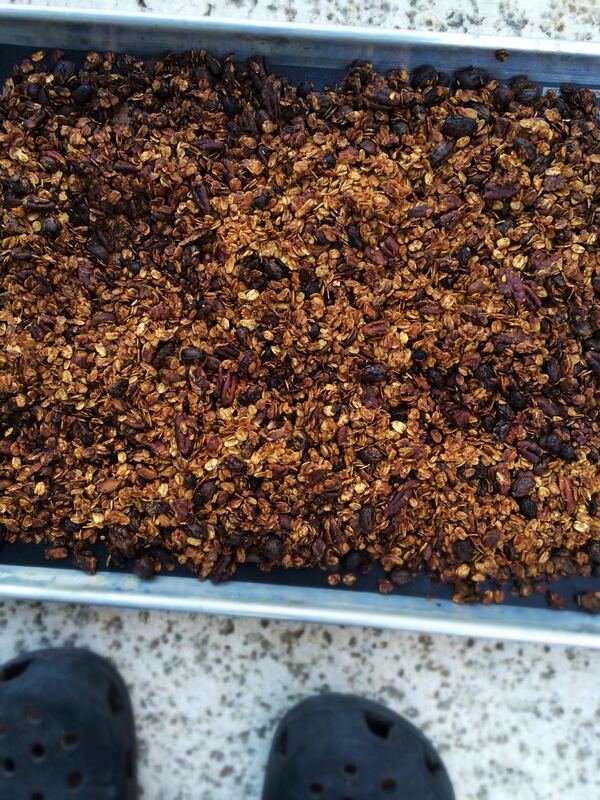 In the grand scheme of things a pan of burnt granola is not the end of the world. Is it food waste? OMG, yes! Was it preventable? OMG, yes! Am I going to make another batch of granola? Ummm, yeah. Kicking myself for the pricey pistachios and pecans AND golden raisins that bit it yesterday, so my next batch will be with a more modest list of ingredients and the oven timer set. My usually, dependable memory and olfactory senses are clearly spread a little thin. Hoping that my next mistake is just as easy to fix.